Besides all the wonderful sustainable fashion labels we love to shop, we all like to go shopping for vintage fashion, aren’t we? Liisa Jokinen has created a wonderful NYC vintage map and she has picked out her 10 favorite stores for us, which she listed below. Which is your favorite store? Have you visited the one or the other? Even going to the James Veloria store is exciting – the store is located on the second floor of a Chinese mall. Inspired by innovative design and the use of bold colors and patterns, the store is packed with unique, exciting, and iconic pieces, with an emphasis on Japanese and European designers like Comme des Garçons, Jean-Paul Gaultier, and Moschino. Beacons Closet stores are great for both treasure hunting and people-watching. Just have plenty of time to go through all the racks. The amount of clothing can be overwhelming, but Beacon’s Closet stores surely have something for everyone at reasonable prices. The Greenpoint store is the biggest; the Manhattan store is the coolest. The Break does vintage differently. The store looks so polished it is hard to believe it sells vintage, not new clothing. 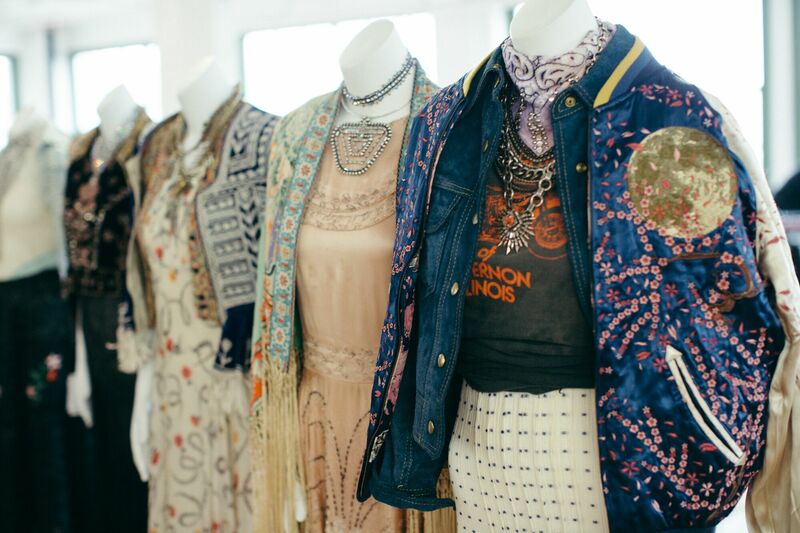 The Break is master at sourcing recycled pieces that look “fresh off the runway”. The store gets around three hundred new pieces weekly, so inventory is always fresh. The Break also hosts fun tattoo pop-ups, dance parties, dog adoptions, art galleries, and clothing drives. Do not miss their events! Founded by an Italian couple, Patti Bordoni and Marco Liotta, Amarcord is a treasure trove for lovers of Italian and American vintage. The color-coordinated and trend-focused store is easy to navigate, and easy to find because of the innovative and beautiful window displays. 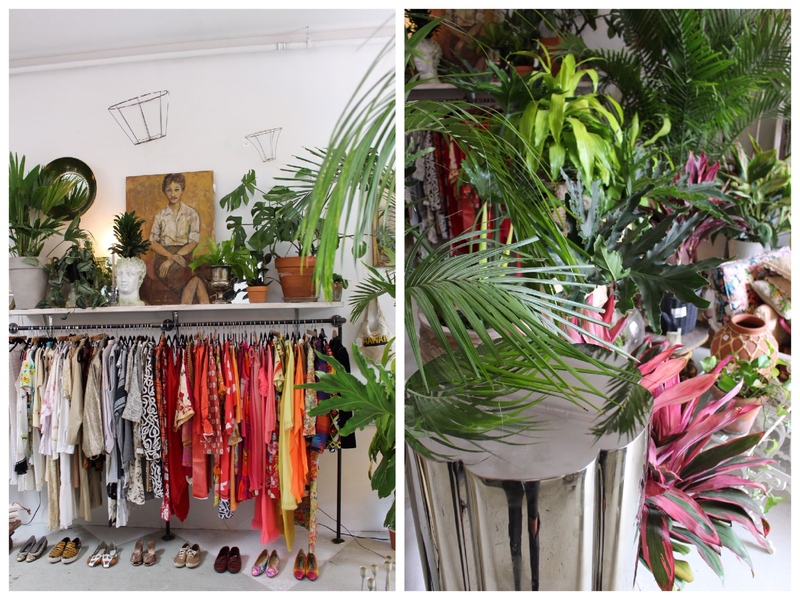 When you mix beautiful vintage with exotic plants, you can’t go wrong. And that is why Feng Sway is a must destination for any New York visitor. The Greenpoint store has clothing for both women and men, knick-knacks, candles and lots of details to study. Worships adores artists and musicians of the past and present. 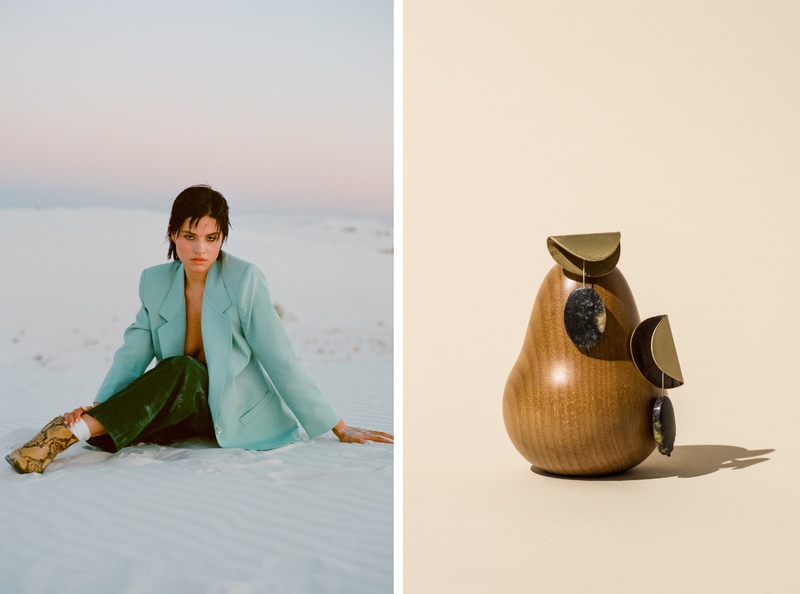 “Creativity is our religion”, say the store owners Sara Villard and Vashti Windish who are constantly on the hunt to bring unique pieces to the stores in New York and Los Angeles. Sometimes it pays to venture out to the far corners of Williamsburg. Like when you find a cute, tiny Collections BK with their adorable backyard and dreamy collections. 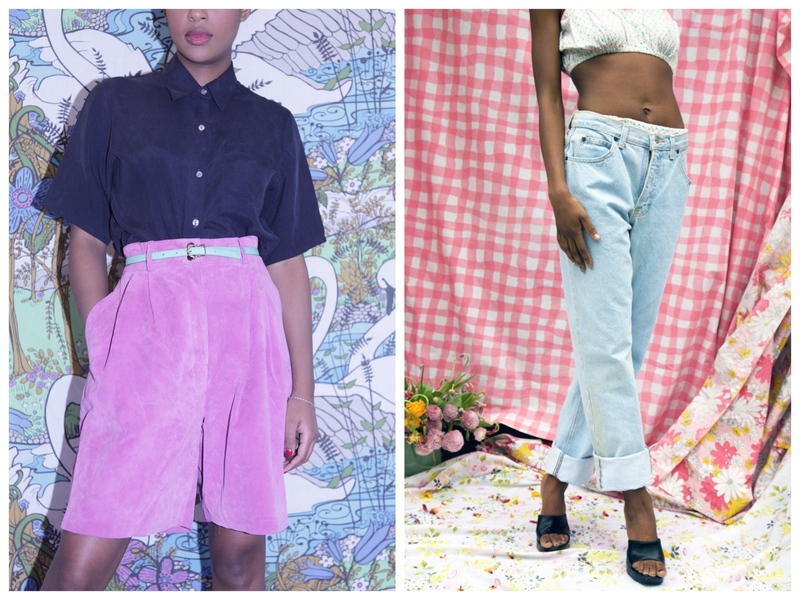 Expect to see lots of girly clothing, pastels, 90s inspiration and some home goods, too. 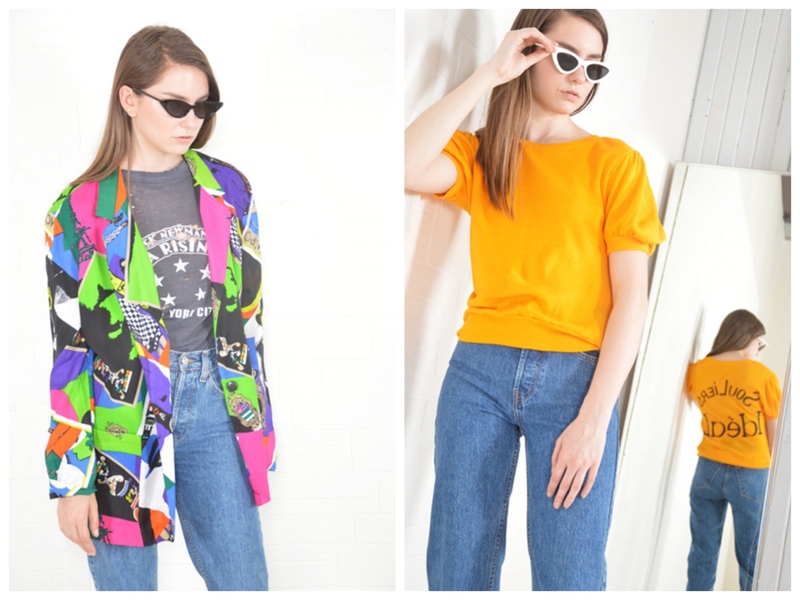 Thriftwares never disappoints: cool looking vintage with a contemporary twist, designer names and always some gorgeous, showy pieces to brighten up your next party night. 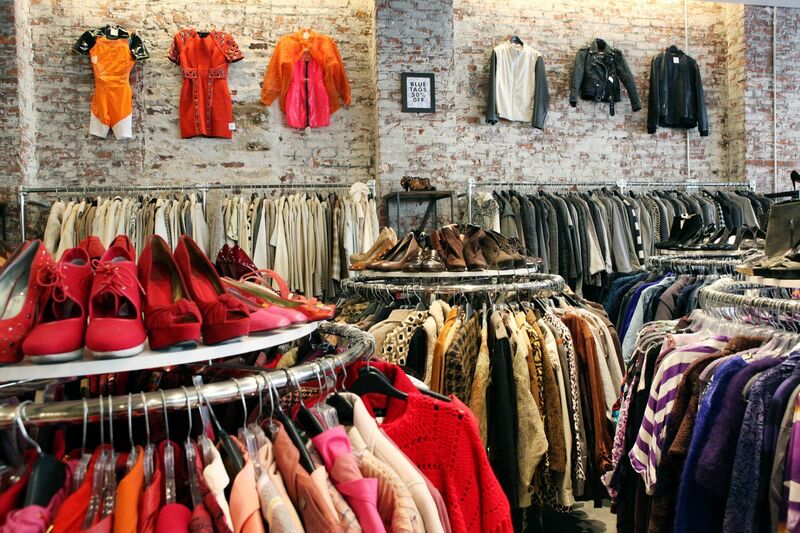 Thriftwares has two locations, one in SoHo, and in Brooklyn. Both are inside the Artists and Fleas market. If you happen to be in New York during the A Current Affair vintage fair, you can consider yourself lucky! Like the event slogan says, A Current Affair has the best vintage under one roof. Each fair has approximately 70 sellers from all over the US and even abroad. Nothing beats an outdoor flea market and of the several that New York has to offer Brooklyn Flea is the best. 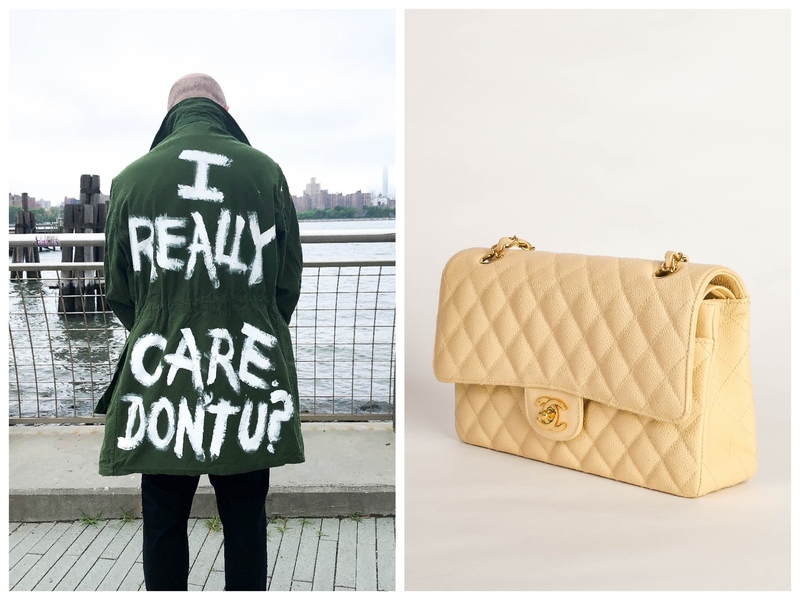 Brooklyn Flea happens every weekend of the year, rain or shine. Check out the locations and hours on their social media before heading out. Be ready to meet hundreds of top vendors of furniture, vintage clothing, collectibles, and antiques, as well as a curated selection of jewelry, art, and crafts by local artisans and designers. 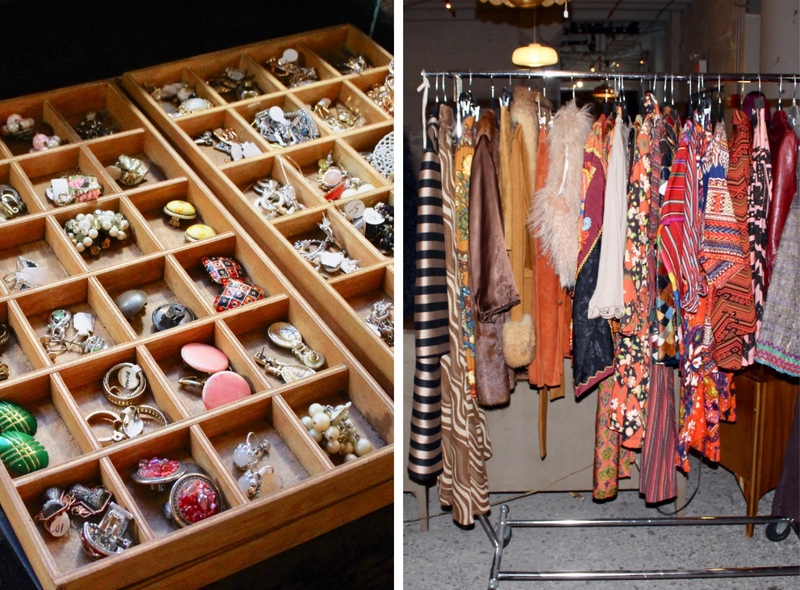 Check out more New York vintage, thrift and consignment stores on the NYC Vintage Map.